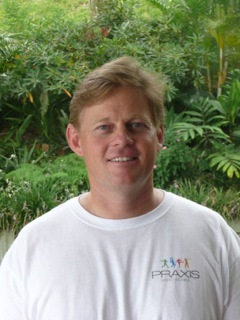 Marc Portus is the Managing Director of Praxis Sport Science, an Australian based company offering global sport science services including biomechanical analysis, performance analysis, bespoke high performance management systems, athlete profiling and screening programs, research and development project management, ProBatter video ball machines and high performance facility design. He has a PhD in sports biomechanics from The University of Western Australia, where he studied the technique characteristics linked to lower back injuries in junior and senior fast bowlers. Marc has supervised numerous honours, masters and PhD students and authored research publications on cricket fast bowling and batting, injury surveillance, athlete workloads, GPS monitoring, and the physiological requirements of skill based activities. Marc was the Manager of Cricket Australia’s Sport Science Sport Medicine Unit from 2005-2010, where he initiated Cricket Australia’s National Standards programs, managed the Research and Development program, built a full-time staff of 13 science and medicine service providers and established the Conference of Science, Medicine & Coaching in Cricket. Previous to that Marc was a Sport Biomechanist at the Australian Institute of Sport from 2000 to 2005, where he conducted biomechanical analyses and screens of elite athletes, conducted research into elite batting techniques and the biomechanics of illegal bowling actions in cricket. The latter provided much of the impetus for the ICC’s 15 degree illegal action elbow extension tolerance threshold used in international cricket.